Breakfast is the first meal of the day and as such people can get sensitive about what they put in their mouths. Depending on where you are from perhaps you aren’t too excited about eating fish, spicy food or soup first thing in the morning, or maybe you love it! 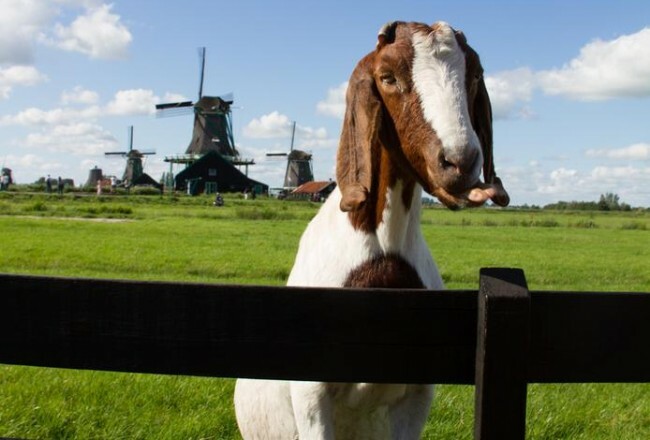 Here are a few Dutch breakfast foods that might sound delicious or may be disgusting to you. 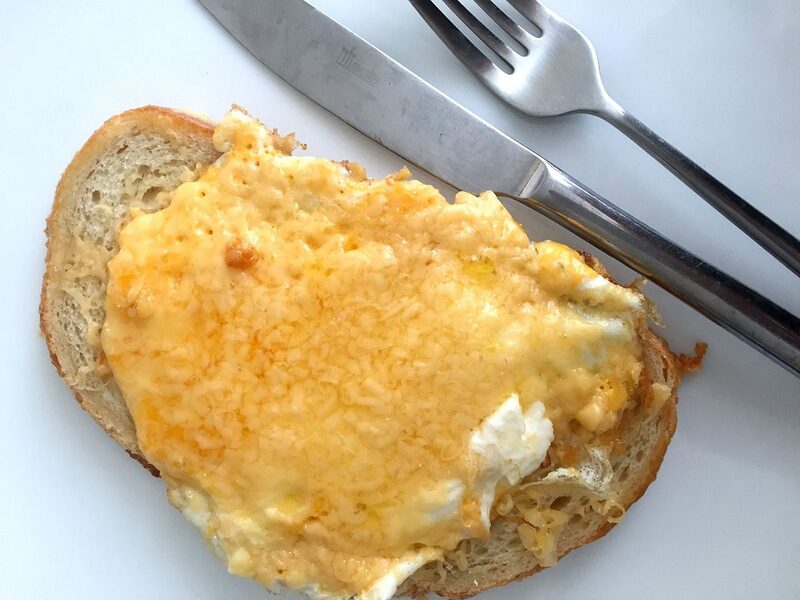 Eggs are common for breakfast around the world, but in the Netherlands they like to have them in a tidy way on a slice of bread. One or two eggs are fried over medium, then plopped on top of a large slice of bread. The bread might be toasted, and there can be cheese melted on top. Some people add a slice of ham as well. That would probably be the most typical way to serve uitsmijter. But you can get creative and add bacon instead of ham, or have no meat at all. Or maybe you’d prefer sliced tomatoes. I like mine with Tabasco sauce but I’m definitely not normal. Uitsmijter is a funny name to me. The word translates as “throwing out”. But no this dish is not made of old food or leftovers that you might be throwing away. Perhaps it is due to the fact that this meal can be made quickly and easily then tossed to you at the table to eat. Or perhaps because the thought of an uitsmijter might get you to throw yourself out of the bed and into the kitchen in the morning. But the most hilarious aspect of this is that a bouncer at a club is also called “uitsmijter”. It makes me laugh every time. I imagine that big bulky bald guy sitting down to a nice breakfast at his mama’s house after a long night working the velvet ropes of the nightclub. There was a viral video a while back showing American kids trying breakfast foods from around the world (check it out below!). Most of them made a face at the majority of the international dishes. 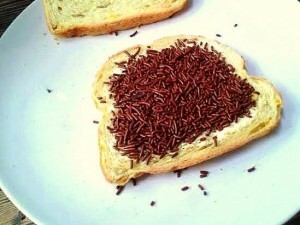 But they were all perplexed and pleased by the Dutch offering: yes, chocolate sprinkles on bread. It’s really a thing, people of all ages eat sprinkles called hagelslag on top of a slice of bread for breakfast, and sometimes for a snack. Usually the sprinkles are milk chocolate but they also come in other varieties like white chocolate or fruity flavors, and even a patriotic orange color. Hagelslag are usually sprinkled on top of a slice of buttered bread. Hagel means hail, so I suppose this delicious Dutch breakfast is a hailstorm of chocolate. Chocoladevlokken are similar to hagelslag but they are in the form of tiny curled flakes of chocolate. If you want even more intense chocolatey goodness you could go for chocoladepasta, which is somewhat like Nutella but without the hazelnuts. 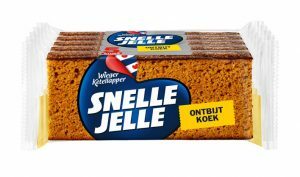 This spicy sweet cake is a traditional breakfast or snack food in the Netherlands and goes perfectly with coffee or tea. You can bake it from scratch at home but most people buy it pre-made in the grocery store. It is made with rye flour and spices like cloves and cinnamon and you can find it in different flavors with raisins, nuts or chunks of candied ginger. Traditional Dutch households, maybe like your grandma, might have a special tin canister to keep a loaf of ontbijtkoek fresh. Ontbijtkoek is somewhat log shaped but very squared off and consistent in size, making a specific canister very useful. Some people eat their ontbijtkoek with a spread of butter, I like mine topped with cream cheese. Ah boterham! What would Dutch food be without the boterham? Great for breakfast, lunch or a snack on the go, these simple sandwiches are traditionally thought of as healthy food. 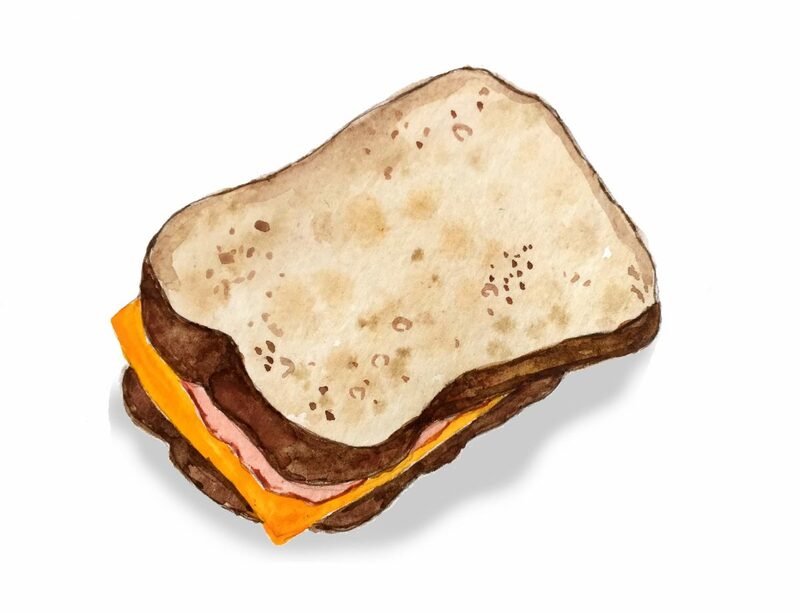 Most typically a boterham consists of two slices of bread with a slice of ham and a slice of cheese. 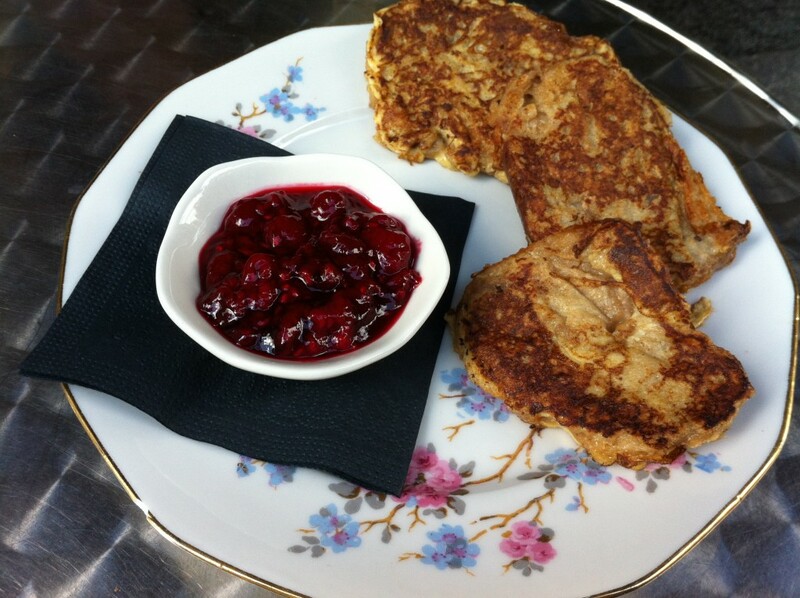 The boterham is a great breakfast if you are running out the door and need to eat on your way to school or work. You can easily eat it with one hand while riding your bicycle. Check out any morning train car in the Netherlands and you are sure to see at least one person unwrapping a sandwich to take a bite of their breakfast. Inexplicably they are almost always wrapped in aluminum foil. Does this simple sandwich really need a protective metal jacket? I do not know. My favorite of the traditional Dutch breakfast foods, wentelteefjes are a wonderful treat for those mornings when you have time to sit down for a more leisurely breakfast. 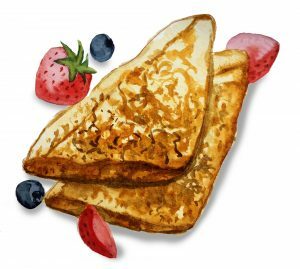 Americans might be familiar with french toast – wentelteefjes are similar but they have a better name, don’t you agree? Sliced bread is dipped in a mixture of egg and milk, perhaps with a bit of cinnamon added, and fried in a pan. Typically in the Netherlands these would be eaten topped with a bit of jam or compote. Yum! Usually wentelteefjes are prepared using normal white bread that is left over from a week of boterhammen. But I have had them made with slices of suikerbrood, which is a sweet loaf from Friesland with swirls of sugar and cinnamon. And it was heavenly! You can find wentelteefjes in some restaurants in the Netherlands but the best are those you make at home. Hahah this one is a trick! 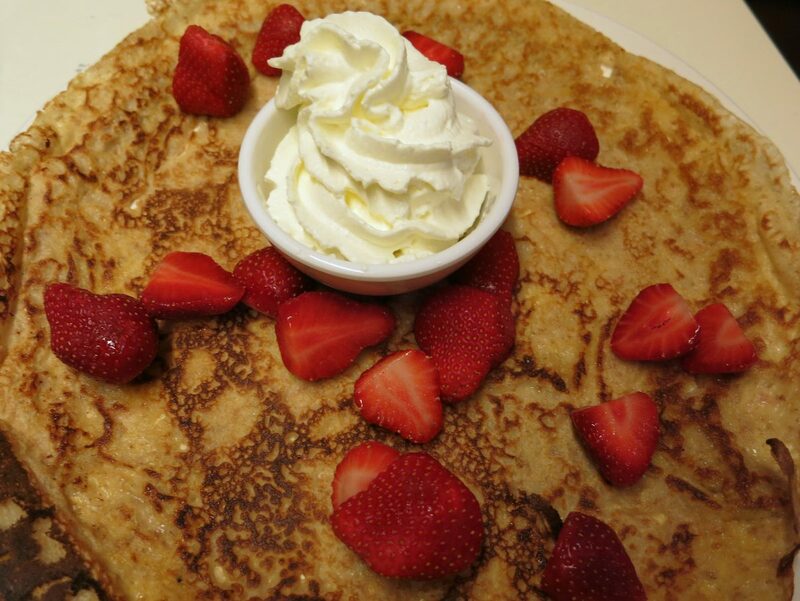 As opposed to other places on earth, in the Netherlands pancakes are not for breakfast, they are for dinner! Of course you can have them for breakfast if you like, but it is not a typical Dutch breakfast meal. To read about more Dutch foods, check out our series: Dutch foods you should try part 1, 2, and 3. 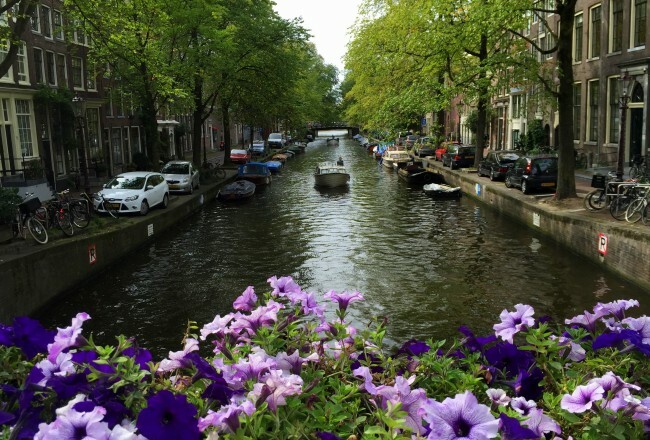 And don’t miss these 7 Dutch drinks you should try too! Some are great for breakfast! 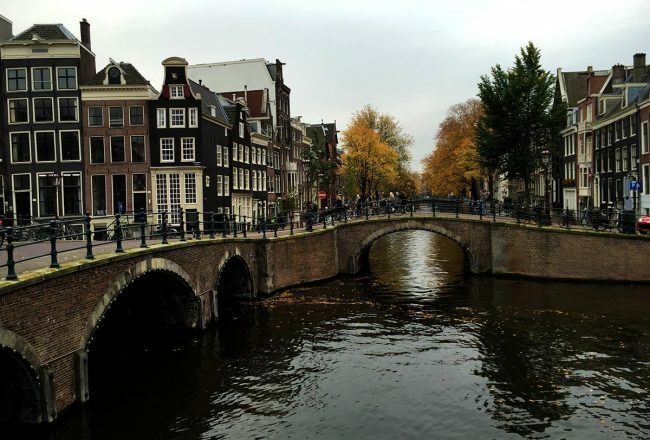 Looking for a place to grab breakfast in Amsterdam? Check out some of our favorite breakfast and brunch spots.